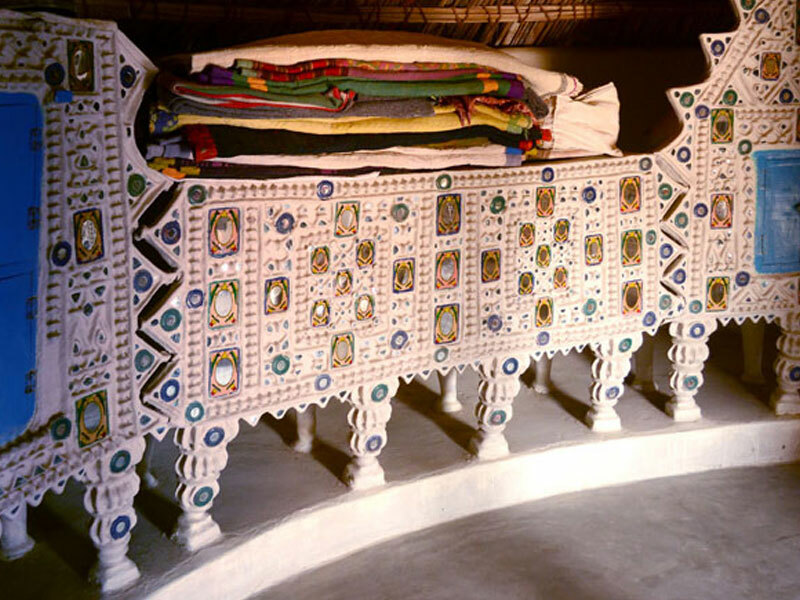 Mud and mirror work also known as Lippan kaam is a traditional mural craft of Kutch. 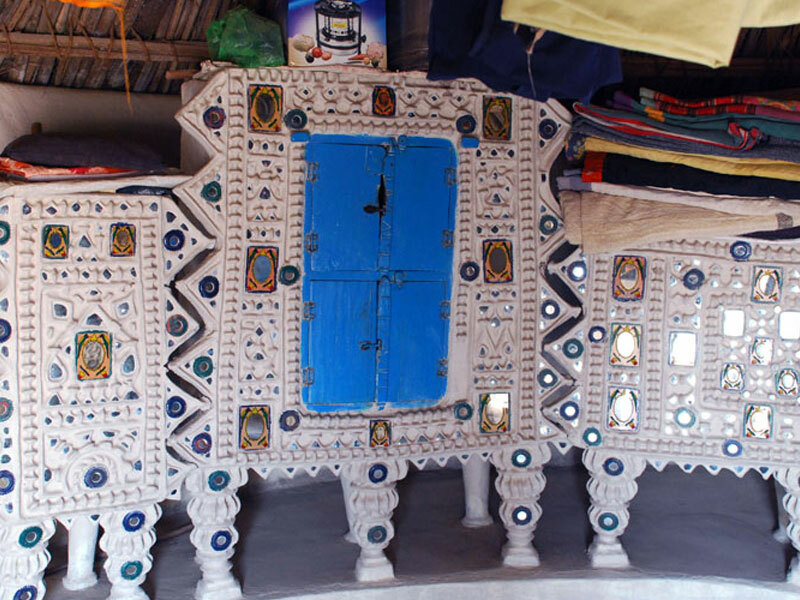 It is also called as Chittar kaam. 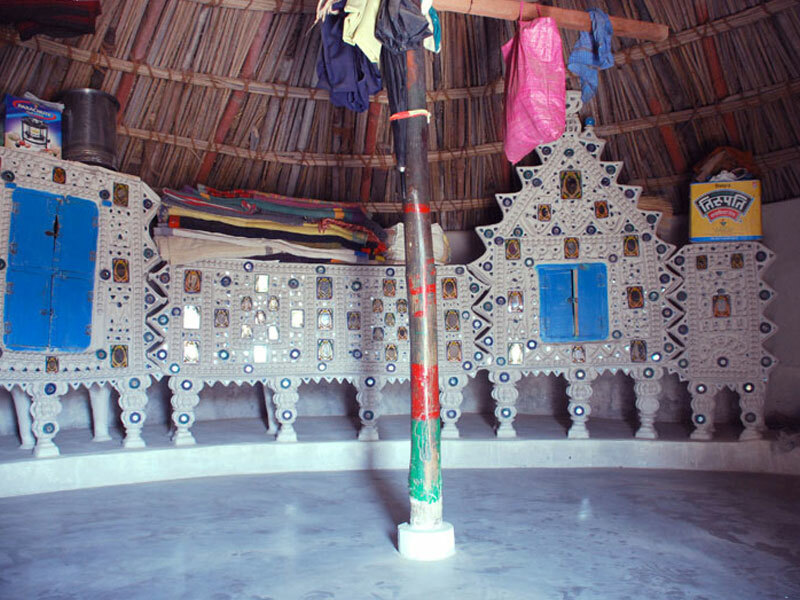 Its origins are not known even though various communities in Kutch who have their own distinct style. 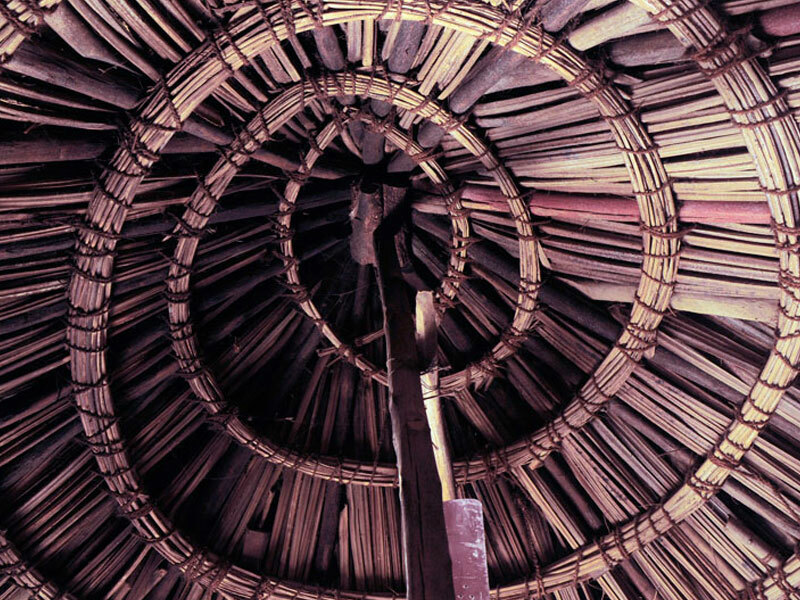 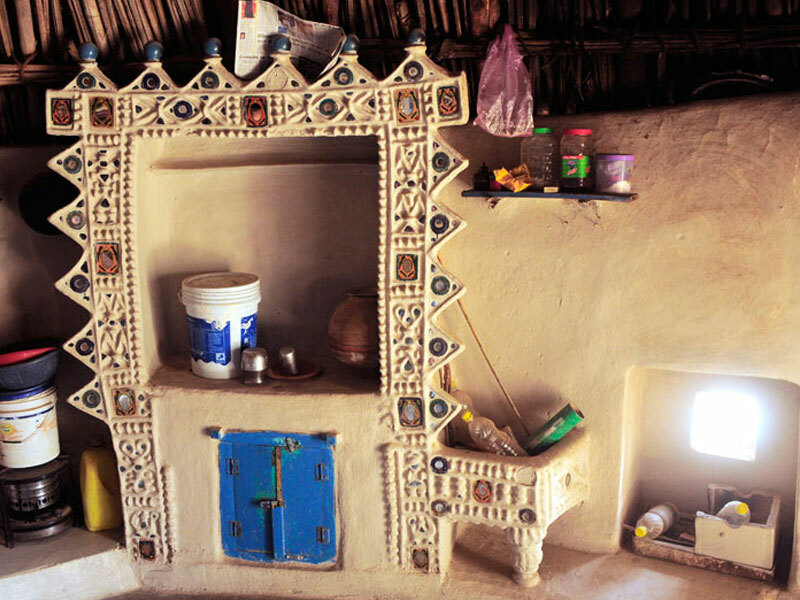 Most communities live in circular mud houses known as Bhungas that have thatched roofs. 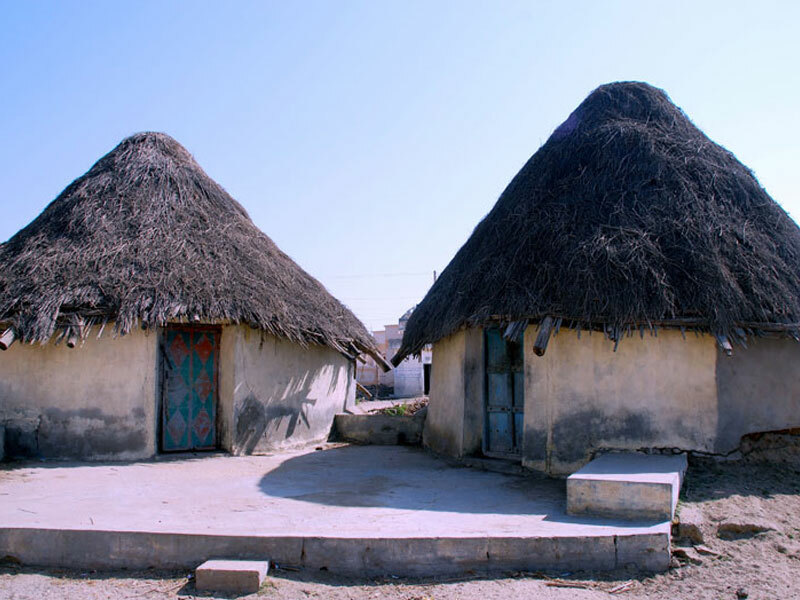 These houses have evolved over the years to survive the harsh climatic conditions of Kutch. 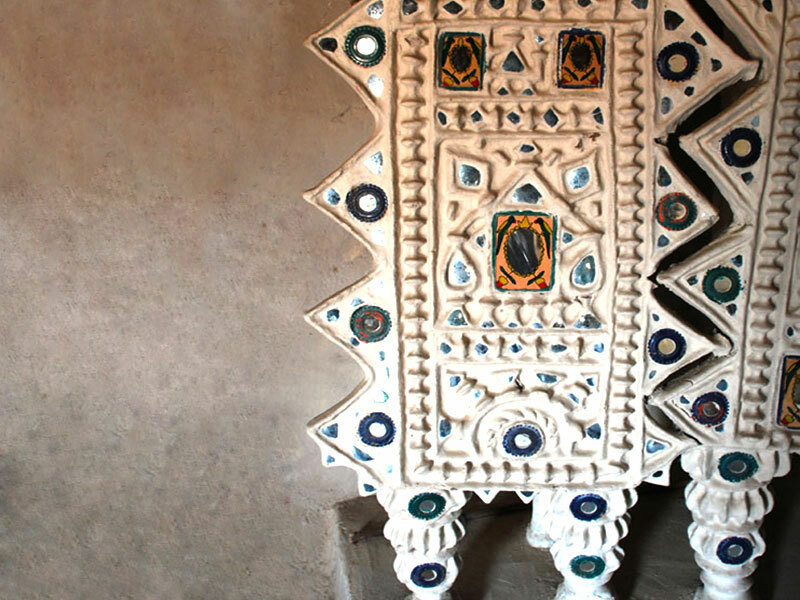 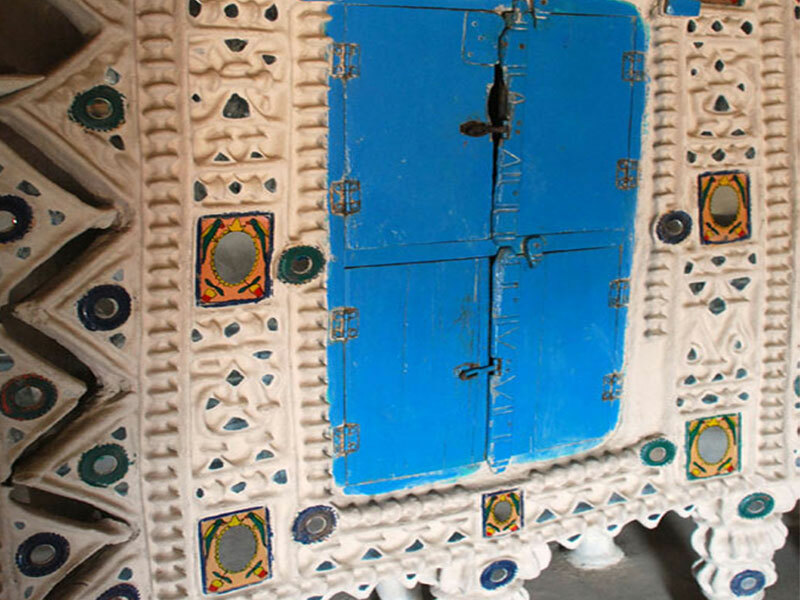 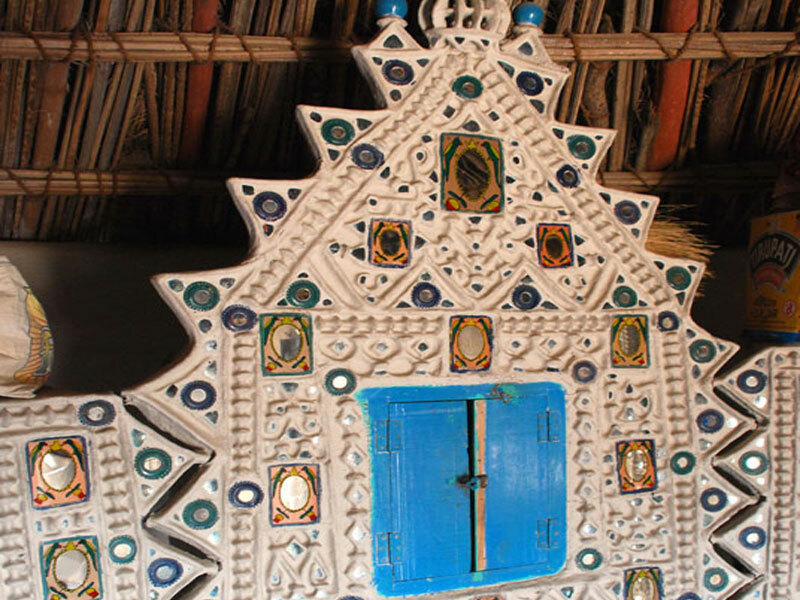 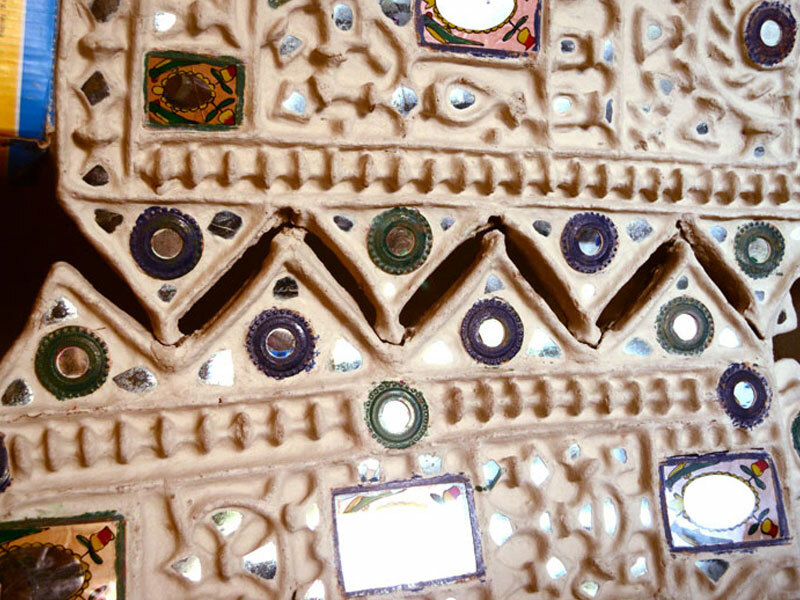 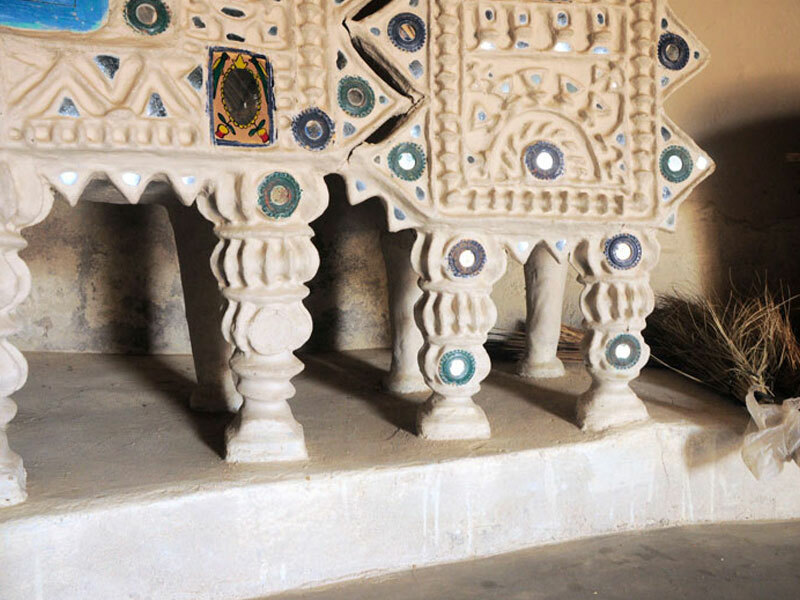 The inner walls of the homes are adorned with decorative mud-mirror work. 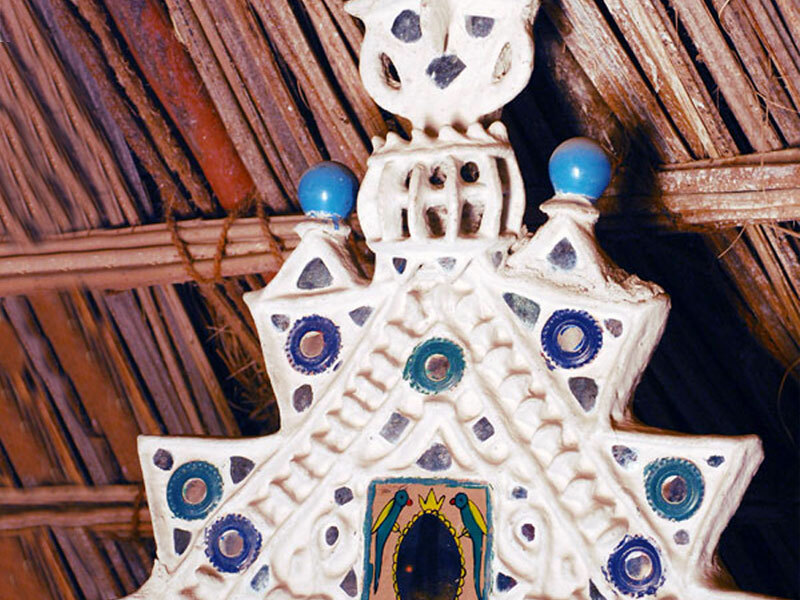 Materials used are locally available in the region.